Digit Geek > Recent Articles > Science > What is a planet? Defining a planet should be a no-brainer. Turns out, there is a lack of scientific consensus on the issue. The Oxford English dictionary defines a planet as “A celestial body moving in an elliptical orbit around a star.” The word is Greek in origin, and the root means “wanderer”. The planets were distinguished from the stars, as they had specific motions across the skies, independent of the stars. It is this motion that led to the discovery of planets beyond Saturn. In 1930, a young astronomer by the name of Clyde Tombaugh noticed a moving point of light in between two photographic slides in the direction of the constellation of Gemini. This slight movement indicated the discovery of a new planet, which was named Pluto. In 1992, over a thousand trans-Neptunian objects (TNOs) were discovered beyond the orbit of Pluto. It looked likely that there would be TNOS larger than Pluto. In 2003, one such object was discovered, with its own moon. It was the discovery of Eris, that led astronomers to first question exactly what a planet is. The media started referring to Eris as the tenth planet in the Solar System, which led to heated discussions within the International Astronomical Union (IAU). This is the body that is responsible for naming celestial objects such as stars, planets and asteroids. Following an intense debate in the 2006 IAU general assembly, held at Prague, the definition of a planet was changed in a resolution. The resolution reads: (1) A planet is a celestial body that (a) is in orbit around the Sun, (b) has sufficient mass for its self-gravity to overcome rigid body forces so that it assumes a hydrostatic equilibrium (nearly round) shape, and (c) has cleared the neighbourhood around its orbit. (2) A “dwarf planet” is a celestial body that (a) is in orbit around the Sun, (b) has sufficient mass for its self-gravity to overcome rigid body forces so that it assumes a hydrostatic equilibrium (nearly round) shape, (c) has not cleared the neighbourhood around its orbit, and (d)is not a satellite. (3) All other objects, except satellites, orbiting the Sun shall be referred to collectively as “Small Solar System Bodies”. On 24 August 2006, at the closing ceremony of the general assembly, the resolutions were passed. This was the historic moment when Pluto was “demoted” as a planet, and the Solar System was considered to have 8 planets. 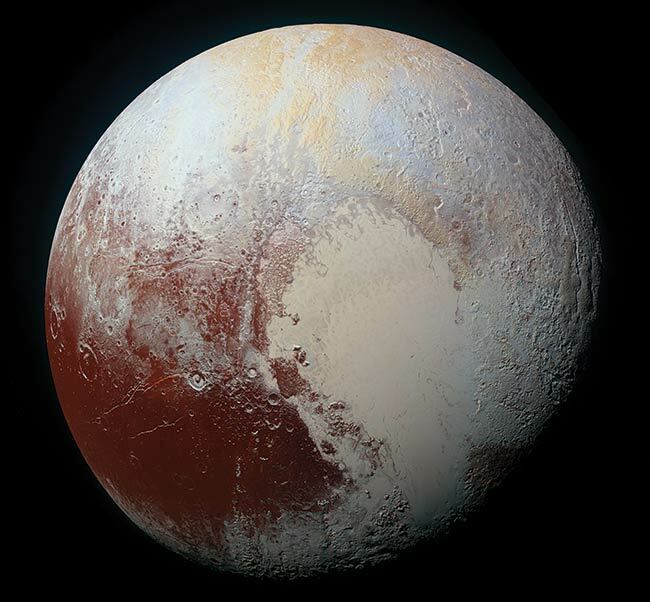 According to the new definition of a planet, Pluto was now a “dwarf planet”. As of today, the IAU recognises five dwarf planets, Ceres, Pluto, Eris, Makemake and Haumea. Sedna, Orcus, Quaoar are some TNOs, that are not yet recognised as dwarf planets by the organisation. Almost immediately, scientists began seeing some serious flaws in the IAU definition of the planet. The third criterion requires a planet to have cleared its orbit of other objects. This has a number of implications. None of the eight objects considered to be planets by the IAU has actually cleared their orbits of other objects. The Earth would not be considered a planet because of the Near Earth Objects (NEOs), most of which are asteroids, but some of which are comets. One of these, designated as the asteroid 2016 H03 is a quasi-satellite of the Earth and is a specific example of Earth not having cleared its orbit. The asteroid accompanies the Earth in its annual journey around the Sun but is too distant to be considered a true satellite. It disqualifies the Earth from being considered a planet, according to the definition of the IAU. The same criterion also makes it difficult to designate planets in other star systems. For example, for the 7 identified bodies in the Trappist-1 system to be called exoplanets, it would be necessary to find proof that they have in fact cleared their orbits of all other bodies. Considering how incredibly difficult it is to find exoplanets in the first place, this is a ridiculous exercise. 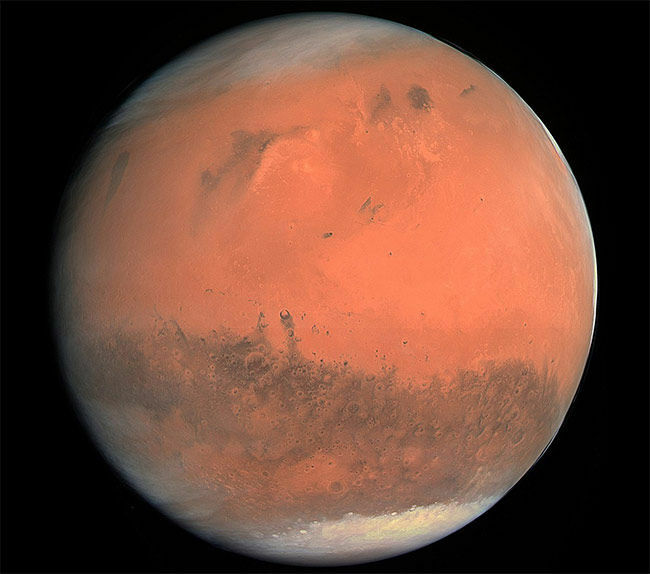 Mars, Jupiter and Neptune also share their orbits with asteroids, technically disqualifying them from being considered planets according to the definition of the IAU. The third criterion means that the farther away from the host star a body is, the more massive it has to be to be qualified as a planet. Even an Earth-sized body as distant from the Sun as Pluto is, would not be able to entirely clear the orbit of all other bodies. Instead of defining a planet by characteristics intrinsic to the body in question, the IAU relies on external factors. The definition also introduces some inconsistencies. Mercury, Venus and Earth are referred to as terrestrial planets. Jupiter and Saturn as the Gas Giants. Neptune and Uranus are the Ice Giants. 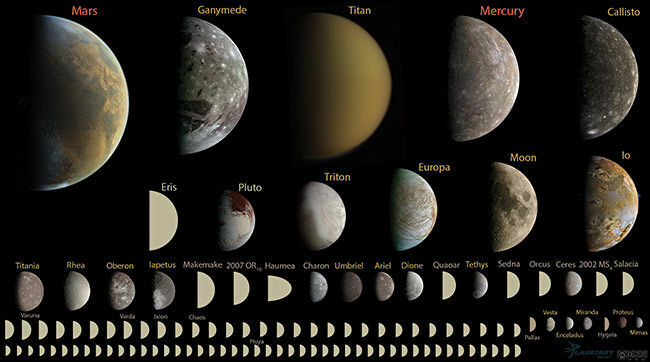 All of these bodies are considered planets, while only Pluto and the category of bodies called “dwarf planets”, are not considered planets. Pluto satisfies the first and second criteria of being a planet, but not the third. It is therefore purely arbitrary that Pluto is not considered a planet. According to planetary scientists, the IAU is saying “Pluto is not a planet because we say it is not a planet”, and not providing sufficient and robust scientific reasons, even in the definition that they have adopted. Planetary scientists have proposed a definition based on the geophysics of the body, one that is simple enough to understand, and one that is in line with how people actually use the word. The proposed definition is: A planet is a sub-stellar mass body that has never undergone nuclear fusion and that has sufficient self-gravitation to assume a spheroidal shape adequately described by a triaxial ellipsoid regardless of its orbital parameters. A simpler definition for school textbooks would be: “Round objects in space that are smaller than Stars”. It was not just the planetary scientists that have a problem with the demotion of Pluto. The new definition of the IAU ended up confusing the general public as well. The New Horizons spacecraft was a probe launched to study objects in the outer reaches in the Solar System, and Pluto was one of the bodies that it studied. One of the most common questions asked to the New Horizons team was why was a probe being sent to study Pluto when it was no longer a planet. Being removed from the roster of planets in orbit around the Sun, somehow made Pluto an object less interesting for study in the minds of the people. The science team members of the New Horizons mission are leading the effort to get Pluto reclassified as a planet. The proposed definition by the planetary scientists is dependent on the internal characteristics of the body, and not the external environment. If the new definition is adopted, the number of planets in the Solar System would expand significantly. Instead of having 8 planets, the Solar System would have more than 110 planets. This is because apart from the asteroids and stars, every other body is considered to be a planet. This includes the moons of Jupiter and Saturn, as well as our own Moon. Ganymede, a moon of Jupiter, and Titan, a moon of Saturn are both larger than Mercury. This categorisation actually helps give the public a clearer understanding of the nature of these worlds. The definition is more useful than the IAU version to planetary scientists who study geology and other geosciences of these worlds. An estimated 40 percent of the population of the world, is involved in some way or the other, towards the building of the SKA. The magnetic north pole, towards which all compass needles on the Earth point, is shifting its position and this shift is accelerating. MIT researchers have developed affordable nanoscale shrinking tech, but you still won't get an Ant-Man suit. Here's why.